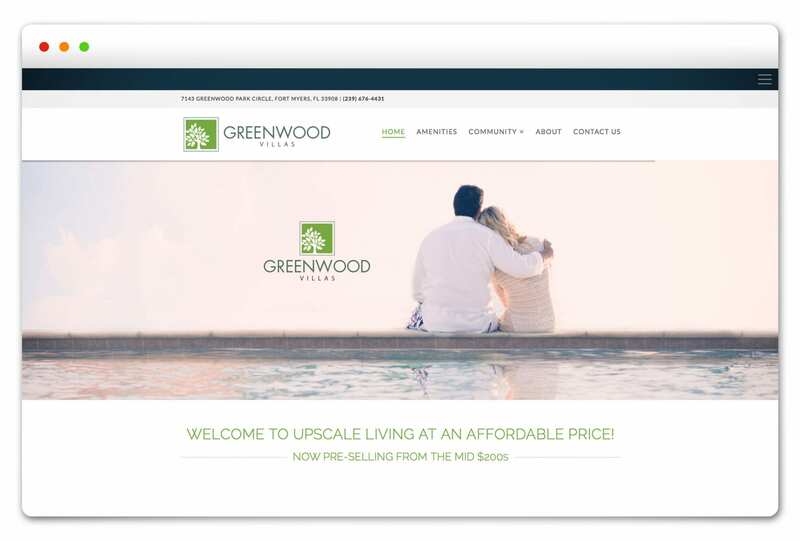 STS Real Estate Solutions hired the Agency to launch marketing efforts for their new community, Greenwood Villas, in Fort Myers. The Bonita Springs, FL-based STS Real Estate Solutions is coordinating the development and sales of the community, but is not the developer. The real estate firm began accepting reservations for the 55-villa community in early 2016. The Brand Architects® at Spiro created an entire marketing and branding package to bring the community to life, including naming the community, community brochure, e-blasts, online and print ad campaign, signage, sales center displays and photography direction and management. Spiro & Associates continues to work with STS Real Estate Solutions with ongoing marketing.